Defiance. 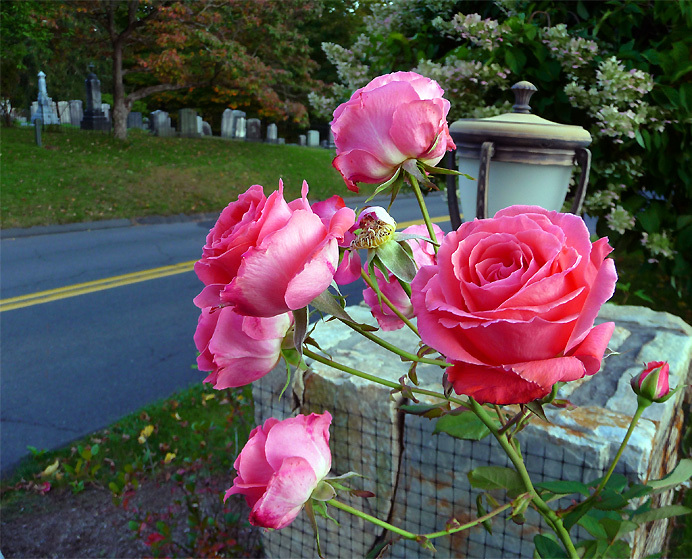 Although it's October, I found a rose blooming across the road from the King Street Cemetery today. .